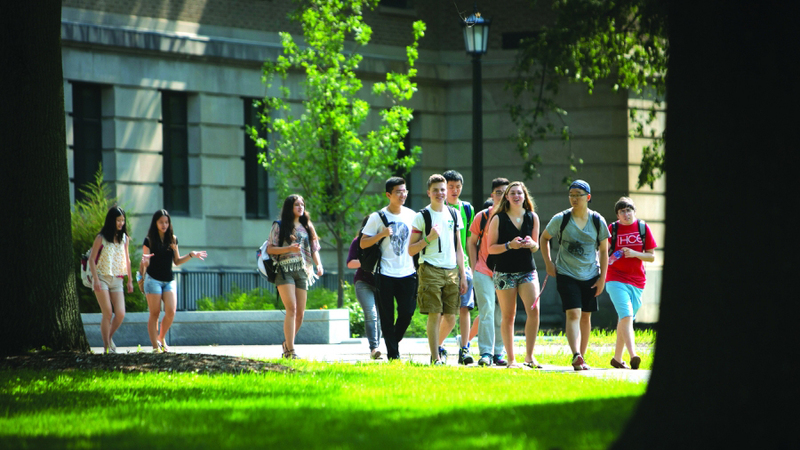 Cornell University Summer College offers precollege programs for motivated high school students. Experience the excitement of college life, take college courses with renowned faculty, and enjoy an "unforgettable, life-changing summer." If you’re selected for Summer College, you’ll join about 1,000 other high school students from around the world as you live, study, and play on the Cornell campus. After selecting your program, you'll enroll in one or more of Cornell's fast-paced and rigorous undergraduate courses and enjoy the rare opportunity to work closely with some of the university’s most outstanding professors. You can meet admissions representatives from many colleges at our college fair, get insider tips from Cornell admissions officers, attend special admissions workshops, and talk one-on-one with us about how you can make the best impression on a college admissions committee. You'll live in a residence hall on campus alongside other Summer College students and enjoy a wide range of fun activities. Summer College staff will be available 24/7 to support you as you tackle college classes, juggle free time and coursework, negotiate life with a roommate, and practice living on your own. 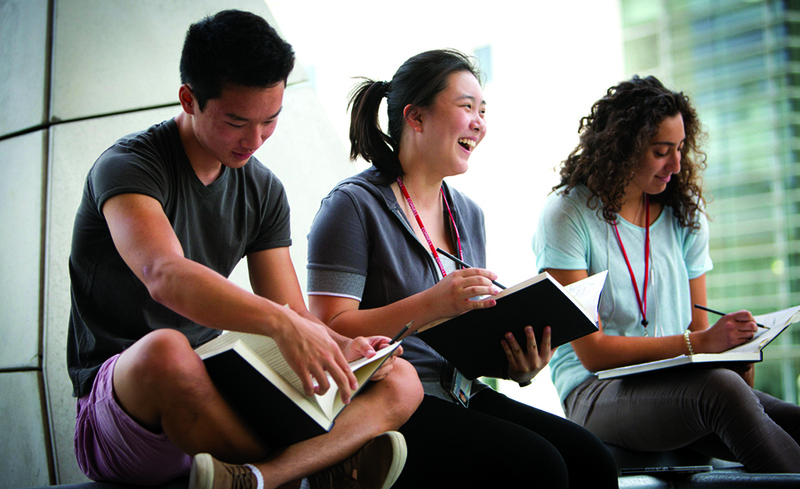 If you select a credit-bearing program, your courses, grades, and credits earned will be recorded on an official Cornell University transcript. You can generally apply these credits toward an undergraduate degree at Cornell or another school. If you can’t make it to campus this summer, take an online course! These courses allow you to study a fascinating subject in a virtual classroom with Cornell undergraduates, study with a Cornell faculty member, and earn college credits and a Cornell transcript. For details, see summercollege.cornell.edu/online. These charges include tuition and fees for our 2018 programs. I studied architecture at CUSC and it was the most memorable six-weeks! I learned so much and was able to meet so many people. It was my first time ever being away from my family, but I felt so at home that by the end of the program I still didn't want to go home. CUSC allowed to venture more into architecture and allowed me to realize that I wanted to study architecture. I wish everyone would be able to experience CUSC because it was amazing and you meet people that become friends beyond the three or six-weeks you're there. I attended CUSC this summer and studied Macroeconomics. The program enhanced my understanding for the dynamic economic world and provided me with the opportunity of interacting with world-famous professors. Each day at Cornell was like an adventure and a new challenge. Enjoying the fantastic sceneries, participating in various activities, and making friends with people around the world, I found myself drawn to a diverse environment where I got motivated and inspired. I would say without hesitation that this had been the best summer in my life so far and undoubtedly it was a life-changing experience! Reviewed on 12/2/2018 by Sydney L.
I entered Cornell Summer College believing that I would leave with a notebook full of equine medical information; I left with so much more. I was afforded a once in a lifetime opportunity that challenged me, academically and, more importantly, socially. The curriculum, which was classroom lectures in the mornings and hands-on at the barn in the afternoons, was challenging and fast-paced, and I found my Equine Practice class to be the most exciting part of the day. I was fascinated with the course and new knowledge I learned. Stepping on campus that first day and not knowing anyone was unsettling, but after the First Day Ice Cream Social, I found myself surrounded with new friends from all over the world. Over the span of the three weeks, we had gone to the mall, eaten at the Commons, enjoyed the cat café, and explored the campus. By participating in the program, I learned much, laughed hard, made friends from California to Taiwan, and found fulfillment, confidence, and a new sense of excitement for my future. It was truly an amazing experience! Reviewed on 11/15/2018 by Allie V.
I was concerned when we drove into Ithaca! From researching the CUSC program, I was worried my course would be intense, my dorm would be super-hot, and my classroom building would be a very long walk away. But shortly after I settled in, my fears were allayed. I took Professor Daisy Fan’s three-week “Digital World & You” course and was housed in a single room in Clara Dickson Hall. I immediately became friendly with the girl across the hall, and we always kept our doors open – it was like having a very large double room! Keeping the doors open also helped create a cross-breeze, and that, with room fans, kept my room from ever getting uncomfortably hot. A few days in, I realized that my 30 minute walk to and from my classroom building was actually enjoyable. Cornell’s campus is beautiful, and I found myself contemplating, at what other campus do you have the opportunity to cross a bridge over a waterfall with every “commute”? Professor Fan covered so many topics in three weeks, but she explained everything well, and there was always adequate time to complete her assignments. I enjoyed the multi-disciplinary approach of the course where we explored privacy and ethics of digital culture and had the opportunity to learn to program in programming language Matlab. I found it particularly valuable to learn so much about my own digital rights! There are student activities available to fill every free moment, but never pressure to join them. My favorite organized activity was a trip to Ithaca’s Farmer’s Market where I got to browse all of the different food offerings and enjoy eating on the shore of Cayuga Lake. However, I especially enjoyed exploring Cornell independently with a small group of friends. I made friends from all over the US and the world, from Germany to China to Argentina, and we are in regular contact today. My favorite lunch spot was Trillium Dining Hall near my classroom building, Upson Hall. My classmates and I got to know the very nice servers and they came to anticipate our specific pasta orders every day! Of course I recommend the Cornell University Summer College program. It was an amazing experience to get to know Cornell, make so many new friends, and experience college life. Seeing the natural beauty of Ithaca was a bonus! Reviewed on 11/14/2018 by Daniel L.
I attended Cornell summer program this summer and took the course "Making a difference by design". Basing on my experience, I believe it is definitely reasonable to say that the program is amazing at all aspects. First of all, the course was at high level in terms of academics. Well-designed classes not only offered me knowledge from several connected areas including architecture, design, health and hospitality but also taught me valuable skills that could be useful in a vast range of circumstances. The professors teaching my course are all knowledgeable, friendly and always able and willing to answer my questions, each time extending the discussions even beyond what I had learned in classes. The support system of the program is also very effective. All the faculties are enthusiastic and capable in solving my problems, and I was always able to reach them quickly whenever I had a problem. Additionally, when reviewing those three weeks I spent at Cornell, I can say that I was never bored. Apart from various kinds of activities organized each week, the campus itself is a wonderful place to spend time wondering in with botanic gardens, numerous waterfalls, a small lake and artificial structures like the McGraw Tower and the Johnson Art Museum. Moreover, although not big, Ithaca is certainly a good place to go on weekends. Actually, there still exist many other amazing aspects of my experience at Cornell summer program, but if I write all of them here it will occupy the whole page. I believe what is listed above is enough to support my recommendation of this summer program. I took the 6-week Engineering Experience Program this summer, studying physics and general engineering. I felt absolutely comfortable and welcomed at Cornell despite the fact that I am an international student. The foods—especially ice creams—in cafeteria and restaurants in the college town are great, and many types of food are available including Japanese and Chinese foods. I really appreciate the beautiful scenery at Cornell, and I went hiking and jogging with friends I met at Cornell every week. My RCA is Sherry and she is very nice! When I was unfamiliar with living at Cornell, she told me everything about the lives here. My tip for future summer school students is that every time you have problems about taking buses and looking for a place or confused about some rules at Cornell, just feel free to ask your RCA. There are always different club activities for summer school students, ranging from academic groups to sports, so that I never felt boring at leisure. I participated in the hiking club, in which we visited places like the gorges and the Cayuga Lake. My professor for Engineering course is Prof. van Dover. I took the chance of office hours to discuss engineering questions and courses at college, which is very helpful for my future study. The professors are always willing to spend time with students even if they are very busy! For some courses that have a large number of students, such as Engineering course, I would recommend coming early to the lecture hall for a seat at the front row. I have a great experience at Cornell University Summer College, and I will definitely recommend CUSC! It's incredible that I learned so much stuff about macroeconomics at Cornell University Summer College this year. Although it was stressful to go over a textbook in three weeks, this pressure pushed me to dig deeper intellectually and challenged me to think critically. From supply and demand curves to GDP calculation, I systematically studied economic concepts and graphs instead of randomly picking up knowledge in casual discussion with my dad. I also unraveled multiple puzzles about how the wealth gap formed and how national economies influence international trade. My professors, TAs, classmates, roommate, and other Cornell Faculty are also extremely nice and helped me a lot. It's a great chance to work hard, play hard, and make more lifelong friends at CUSC! Cornell's Summer College was undoubtedly the BEST experience I could have ever hoped for. 3 weeks went by way too fast. When you attend this program, you make friends that you feel so close and connected to despite only knowing each other for less than a month! The goodbyes are so so sad. The classes are amazing. They are so interesting because you get to choose what you want to study and you get to do it with dozens of peers who share your interest! The all-nighters and walks to Collegetown construct an absolutely mesmerizing experience. I still get emotional thinking about it. I wish I could go back with my old friend group and go to RPCC again. Oh, also, the food is incredible. You will not regret attending this program. It was truly magical. From the moment of arrival, you are greeted with smiles and open arms. Coming to Cornell internationally, I expected the first few days to be painful as I find time to adjust to my new home for 3 weeks. Instead, I found that the community that was created was so welcoming that I felt at home within the first few hours. It was definitely daunting, coming from outside the US all the way to Ithaca New York, but the people I met from the US and even other countries made it easy to adjust and find comfort in what was a foreign environment. As far as academics, I can assure anyone that every program and course of study offered by CUSC is very comparable to actual college courses. Studying here, under world-class professors was not only highly informative but engaging and fun. Nonetheless, the academic rigour is on par with what one would expect from a higher level institution such as Cornell. Overall, CUSC gave me an experience that I can only hope reflects what actual college is like. From the people to the environment to the academics, CUSC expanded my knowledge and developed my character in multiple dimensions. Personally, I would highly recommend applying. Hi, Nicolas-- You're absolutely correct that taking Summer College courses with top Cornell faculty and alongside Cornell undergraduates will give participants an accurate view of life at an Ivy League institution! Thanks for the great review, and all the best from the staff at Summer College. This summer I spent six weeks in Cornell University Summer Program and studied Secret of Business and Transmedia: Image Sound Motion. As an international student, I felt accepted here. My RCA Bre was so nice. After chatting with her, I always found my problems solved and feel positive. I still kept the letter she gave to me when I left the campus. Her words:”You are a great person and you will do great things”really inspired me through my intense senior year, reminding me who I really am when I lost direction during high pressure. Thank you so much Bre! All the people in the dorm were very nice and I made friends with many of them. Also the food in school cafeterias was so good that I didn’t even miss food from my home. Studying in Cornell Summer School was a great experience. All the study centers and TAs made my study much easier. I didn't find problems writing essays because I could always go to the writing center and ask for suggestions. Advisers there were so patient and helpful. Also many friends of mine who enrolled in Engineering, Physics and Calculus went to Balch for mathematic assistance. In Secret of Business Success, I gained professional knowledge of how business works, what is entrepreneurship and how to be a successful entrepreneur. In Transmedia: Image Sound Motion, the class explored the campus to find art in life, from the Gorge to Botanic Garden. During the three weeks, I made a stop-animation film, a opening credit, my own microphotography lens and an interactive dance pad. The way of doing while learning really instigated me for further knowledge and skills. Activities in Cornell Summer School were so fun! Johnson Art Museum was one of the places that I went to a lot. Feeling the sense of vitality in colorful lines, I emerged myself in the world of art and amazed by the diversity of historical collection in the museum. The painting workshop gave me chances to explore fine art and the opportunities to make friends. On Friday nights, after the sunset, my friends and I always went to the Fuertes Observatory to see the Moon. I also participated in Ithaca Mural in the Commons and had a chance to communicate with the local people. I have always enjoyed the sunset on the slope, the hotpot restaurant in college town and the gorgeous view of Ithaca. The friends I made there, I will cherish for life. I highly recommend Cornell University Summer Program to everyone who is looking for an amazing summer experience. Reviewed on 10/29/2017 by Ishaan D.
I was a Cornell summer student during the summer of 2017, but what the university taught me far transcended the short 6 weeks I was there. I took a Computing with Python class taught by Daisy Fan and Intro to Cognitive Science taught by Jordan Delong in my time at Cornell. Message to high schoolers: these professors are NOTHING like your high school teachers! Cornell professors have a culture of their own and it's simply amazing the way they teach. Never was I bored in my classes at Cornell, as these professors were the best role models I could have ever asked for. Yes, I'll admit; I was terrified prior to my arrival at Cornell, as I had never lived on my own for such a long time before. As expected, many firsts came along with it: first time doing my own laundry, first time living on my own, first time having a roommate, first time eating in a dining hall, first time having classmates from around the world, first time having "night checks", first time living in a dorm room...the list goes on. Looking back in retrospect, I wish I could have stayed longer. The experience was purely transformative. I learned more about life in my six weeks at this university than I could have ever learned in Chicago. People at Cornell are truly some of the smartest people you'll ever meet. They are approachable and friendly as well, and once again, you'll NEVER be bored in Ithaca. For future students, I would encourage going on the nature trips and attending the free lectures. The teaching assistants and residence assistants are very supportive and will help ease your transitions greatly. One last thing... probably the most resonating thing this university will leave you with. The people and their backgrounds. To the dorm room on my left, I met a kid from Saudi Arabia who always wanted to attend an American university. To the room on my right, I met a kid from Russia who didn't know English very well, yet was taking a level 200 English class at Cornell because he just loved the subject so much! The diversity of the university is what still amazes me to this day. Cornell's Summer College is an experience you will never forget, and as cliché as that may sound, trust that this university will leave you with something you never knew about yourself or the subjects you're interested in. Great experience and would certainly recommend to all! I can confidently say that the three weeks of Summer College have been the best three weeks of my life. I took the Hospitality Operations Management: Entrepreneurship in the Food and Beverage Industry Course from July 16 to August 5. When I arrived at Mary Donlon Hall I already felt at home. All of the staff was so friendly and made my first day such a heartwarming welcome. After orientation I said good bye to my parents. As I took the elevator to my dorm though, I became a little frightened. There were so many people and I had no idea what to expect at my stay at Cornell. When I met my roommate though, all those feelings dissipated. We gave our introductions and I was excited to hear he was from China. We spent the next few weeks bonding together over basketball, soccer, and talking about the difference in life in America and China. The diversity didn’t stop there! In class I got to interact with students from France and Cambodia. The diversity at Summer College is really amazing! Secondly, the instructors and TAs at Cornell are top-notch. Professor Gaulke taught my class and I learned so much from him! His presentations and lectures were conducted with much energy and enthusiasm. We had a lot of fun participating in class activities like working in groups to form a business and presenting on what we thought an entrepreneur would be like. I even got first place in a Food Truck Simulation we did in class! Our TAs Christian and Aida were so helpful during class activities whenever we had questions. They gave plenty of help during office hours as well. Librarians Mr. Bolton and Ms. LaVoice gave us superb instruction in navigating the databases needed for completing assignments. The apex of my Summer College experience would definitely be the Food Truck Presentations. Our group pitched the “Melting Moon,” a grilled raclette cheese food truck that would provide late-night delivery service to hungry students on campus. Presentation day coincided with my birthday. I couldn’t have asked for a better birthday gift. The following day during graduation, our group even presented for the parents. Honestly, spending late nights at RPCC with my groupmates and friends working on assignments and spending time together was one of my favorite memories. Most of all, going to Cornell Summer College will help you find your future career path. For me, I now know that the Hospitality Industry is perfect for me! Anyone that attends Cornell Summer College will fall in love with the campus and the people there. It’s truly an experience that can shape your future! Reviewed on 10/21/2017 by Juan L.
I visited Cornell in the summer of 2016 and I decided to take a tour of the Architecture department. While I was there I saw the tired out students in the Introduction to Architecture Program finishing up their final models during their last week. While other prospective students on the tour looked frightened, I was excited and determined to be there the following summer. After submitting my application, I was excited to find out I'd be attending the program. When the day finally came, I felt chills as I drove by the sign that read Cornell University (which I later learned was at Collegetown) and realized that would be my home for the next 6 weeks. Class that Monday proved to be rigorous as I already had to stay in studio late into the night to finish my assignment but throughout the program, nothing ever seemed like work since I was engaged in my classes and was a part of an awesome group of students working on a wide variety of creative projects. Studio culture was great and everyone made it a fun place to work so I didn't mind spending 12+ hours there every day. By the end of the program, I realized I had accomplished so much in just 6 weeks. I learned to look at the world in a different way and understand how to start thinking architecturally. I left wanting more, and I'm excited to get back into an architecture studio but I'm glad I got to experience what I did at Cornell. From meeting new friends, to getting a glimpse of what living on my own is like, to being taught by an amazing group of professors and TAs, I will never forget those 6 weeks. I hope everyone gets to have a similar experience to the one I had and I know if you go to CUSC, you definitely will! Sounds like you're perfectly cut out for the intensity and challenge of the architecture program! Glad you spent six weeks with us, and hope we'll see you again. All best from the staff at Summer College. Driving up for 4 hours, finally seeing the signs for "Cornell University" this summer, all I could do was smile. Following the signs for Summer College, arriving at Balch Hall, and putting my key in my door for the first time, I wondered how this place was going to change my life as everyone online had said. Opening the door and seeing the bed with folded sheets on it, the shelf bare...this was going to be my home for 3 weeks. But I could have never anticipated the way it did change my life, as cliche as it sounds. Walking around like a nervous puppy on the first day, not knowing where to go after my mom had left, I got scared that I would struggle to make friends because I'm awkward until I really get to know people. Looking at people who had gone to similar programs in the past, they seemed to come out of it with a huge group of friends which overwhelmed me...but after my 3 weeks there I learned that its more valuable to have a few really close friends, which is what happened for me. I had lots of friends at Cornell, but i ended up making 2 incredible friends that I know are going to be lifelong best friends. It brings me to tears imagining if I hadn't decided to go to Cornell this summer and that I might not have met them because they have become such a huge part of my life...we still talk in our group chat, we oovoo with each other, I even went to visit one of them in their hometown before school started , and they both plan to come to my hometown sometime during the school year. In terms of academics at Summer College, it was the most amazing opportunity I could have ever imagined! Waking up early in the mornings didn't even feel like waking up for school because I was finally getting to learn about something I was passionate about: veterinary medicine. We got to learn straight from Cornell's professors, Dr. Miller and Dr. Lybolt as well as a handful of amazing and supportive TA's, and got to get a real taste of what college and veterinary school are going to be like. While for some, this program helped them decide that this is not the career for them, for me, it solidified my desire and increased my drive to become a veterinarian (it also made me realize how much i want to go to Cornell!). The funny thing is, you don't even realize how much you love Cornell until it's time to leave...looking into my room and seeing the sheets folded on my bed and the shelf bare again but this time closing the door was a very emotional experience for me. I miss Cornell everyday and I wish I could relive Summer College all over again. All I can do is encourage people to go, it was truly amazing! What an evocative description, Ellen! We're glad to hear that your Summer College experience was so powerful and that it helped clarify your academic and career goals. I hope we'll get the chance to see you around campus in the future! I attended Cornell over the summer going into my senior year of high school to take the Hotel Operations Management course. During my three weeks in Ithaca, I thoroughly enjoyed taking this course. Although it was challenging, Professors Mark and Reneta McCarthy created a great working atmosphere as they were collaborative, interesting, and intelligent. On top of that, working with students from countries such as China, Korea, and Dubai allowed me to develop new friendships as well as an idea of how important the hospitality industry is across the globe. I would definitely recommend this course to anyone who is interested in the hospitality industry as it gives you a taste of the many different aspects in a short time, and helps you develop skills in writing, analyzing, and presenting. I attended Cornell University's summer program in 2017, and I took the same course as Sid down below. Our professor, Dr. Young, was an amazingly talented man. Whether he was telling stories of his experiences, lecturing us on topics like ride-sharing services and clean energy, or leading debates on our readings from the night before, he was always helping us learn new things and see the world through different, informed eyes. Oe of my favorite examples was why humans picked trucks over oxen as the preferred method of transportation. The ox was dependable, edible, renewable, 100 %recyclable, free energy, and a few other things. The truck was prone to failure, rusty, partially recyclable, and polluting. The key difference, he explained was that the car is faster and is therefore able to return higher profits. Looking at this, it is easy to see why we live in the world we do today. However, his course was designed to help us see these problems, and come up with ways to fix them. Just being in the same room as the professor was a wonderful experience, even if we only had three weeks together. As Sid said, Mary Donlon was an extremely fun experience as well It was a short walk to our classroom, about fifteen minutes, but on the way is a bridge over a waterfall, and plenty of nature. In the dorms, we all usually got together on our floors and just worked on our homework or played cards or other games. If these bored you, there's always the billiards tables a minute away at Robert Purcell. All in all, the experience was absolutely worth it, and anyone looking for a three or six week experience that will change the way you view the world should definitely consider this program at Cornell University. What a great testimonial for Dr. Young! We agree that he's an extraordinary educator and that his class is a real eye-opener. If you find yourself following an academic or career path inspired by this program, do let us know! All best from the staff at Summer College. Hi, I was a student at the Hotel Operations Management Summer College this past summer. It truly was a mind-opening experience. It broadened my knowledge of the fascinating hospitality business and sharpened my skills in business analytics, in a diverse learning environment. The instructors were amazingly good at making the program enriching and fun. I would strongly recommend this program! We're always happy to hear that students find our programs "enriching and fun." Thanks for the great review, William! We wish you all the best in your academic career. --The staff at Summer College. I attended the 3 week summer college program for Hotel Operations Management, and I loved it! It was exciting to walk around the beautiful campus, attend classes, live in the dorms, and interact with the campus and staff as I would be as a college student! My professors were amazing, and the program truly challenged and rewarded me more than I thought was possible. I look back fondly on my experience. I still not only value, but use the knowledge and tools I acquired from the course to this day! I learned so much, and truly appreciate everything that the faculty did to ensure a fun, challenging, and memorable experience for everyone. It was truly great. They did an impressive job. Everything ran very smoothly, and I was very sad to leave when the time came. I would do it all over again! Thanks so much for the great review, Annie! Sounds like the Hotel Operations Management program was a good fit for you. Maybe you'll want to come back for another summer? All best from the staff at Summer College. Reviewed on 10/10/2017 by Jenna D.
When I first arrived on campus to begin my three weeks at Cornell, I had no idea what to expect. I had enrolled in Inspiring Leadership on a whim and never thought of all the small details that contributed to uni life. Would I do well? Would I make friends? Would I enjoy my time here? I found my visit at Cornell an ineffable experience. Looking back, it feels surreal in my memories. Within the first few hours of my family leaving campus, I made a plethora of friends on my floor, many of with whom I spent the majority of the three weeks. In all the moments we were not doing our coursework, we would have movie nights filled with insomnia cookies, spur-of-the-moment adventures to Ithaca Mall, and picnics at sunset on Libe Slope. As for the course, I found both my TAs and my professor to be incredibly accommodating. Not only did they open their schedules for our questions both in person and through email, but each day they came to class with a captivating lesson based upon the reading from the night before. Our class was able to hear from several guest speakers regarding their leadership experiences and struggles, as well as take a field trip the Hoffman Challenge Course. For anyone considering their options for next summer, I highly encourage looking into Cornell University's Summer College program for high school students. Not only does it provide an enriching an unique educational experience, but it also allowed me to make several lifelong friends who I keep in touch with daily. I promise to anyone considering, that they will not regret their decision to apply for Cornell's summer program! Glad to hear that you found both your course and the Cornell culture to your liking, and that your friendships are continuing beyond your three weeks here. In fact, many alums tell us that lifetime friendships are among the things they cherish about their Summer College experience! Wishing you all the best in your academic career, the staff at Summer College. I attended Cornell's 2017 Summer Program, and I was enrolled in the Green Cities and Sustainable Futures course. The course itself was challenging, but the content always kept me interested. Although it was one of the larger lecture halls, with 42 students, we had three great TAs and the student to teacher ratio remained at about 11:1. Overall Cornell has fantastic facilities. The different food halls, libraries, study rooms, and social rooms allow you to be independent and organize yourself, as well as experience Cornell in different ways. Personally, I enjoyed trying out different libraries to study in order to get a feel for the campus. On a more social and 'lifestyly' note, I stayed in the coed hall, Mary Donlon, and my room was absolutely fantastic. Each hall organizes little fun events for the students, in addition to, larger events made for all halls to attend. I had a really great time, and I met some fantastic people! I would definitely recommend attending Cornell's summer session. Thanks for the great review, Sid! We especially like hearing that you made a point of sampling different libraries, study rooms, social rooms, and cafeterias. What a great way to get the full Cornell experience! All best from the Summer College staff. Reviewed on 10/7/2017 by Nikki S.
This past summer, I walked into the conservation medicine program not knowing what to expect. I wanted to take some sort of veterinary medicine course, and chose this specific class from the myriad of other options as I felt it is most relevant in the current political climate. I immediately became engrossed in the topic thanks to the passionate teachings of my professor, Dr. Radcliffe, and my knowledgeable teaching assistants, Scarlett Lee and Molly Chriunomula. Not only did I leave the summer college with a new-found interest (I still make obscure bee colony references to this day), but many new friends with whom I was lucky to share three wonderful weeks. Delighted to hear that you got so much out of the Conservation Medicine program, Nikki! We'll pass along your kind words about Dr. Radclife, Scarlett Lee, and Molly Chriunomula. All best from the Summer College staff. Reviewed on 10/5/2017 by Sophia E.
This past Summer, I spent three weeks at Cornell University taking the course, Inspiring Leadership. I arrived at Cornell excited about new opportunities and having a good time, and I wasn't disappointed. The room I stayed in was surprisingly large and comfortable, and I even had my own sink. I thought the campus was beautiful, and having the freedom to go to your classes on your own time and do what you wanted was great. The class itself was interesting and fun, and I felt at home amongst my classmates. Finally, my favorite part of the camp, was making new life-long friends that I still talk to today. The three weeks I spent there flew by, and before I knew it, I was packing my bags and leaving my friends behind. I would definitely recommend taking a Summer College class at Cornell for students and teenagers of all types. Reviewed on 10/5/2017 by S. G.
This past summer I went to Cornell Summer School for Hotel Management program. It was a super awesome program. I was worried before the class started but as soon as it began, I enjoyed it a lot. The classes really helped me to figure out if I am interested in this industry. The professors were nice and funny. They were super easy to talk to and they taught us some strong academics. TA were awesome too, they were extremely patient when we asked them questions. Three weeks flew by quickly. I kinda got to know a little about how it is like in Cornell and I also got some good friends. I loved the community there! I would definitely recommend to go Cornell Summer School! Reviewed on 10/5/2017 by Daniel S.
I attended a three-week leadership course this summer and couldn't have been more pleased. My professor was phenomenal and I was able to learn valuable information about what it truly means to be an outstanding leader. This information has already helped me already when I have been asked about the topic of leadership in college interviews. I would strongly recommend a summer school program at Cornell. During my three weeks at Cornell, taking the Genius and Madness course, I met the best people and made friends from all over the world. I was also surprised at how much freedom I had, there were no counselors or schedules that we had to adhere by (except curfew) and I feel like this freedom taught me to be more responsible with my time and my actions. I would definitely recommend this course to anyone who wants to experience a college lifestyle and challenge themselves while earning a credit. 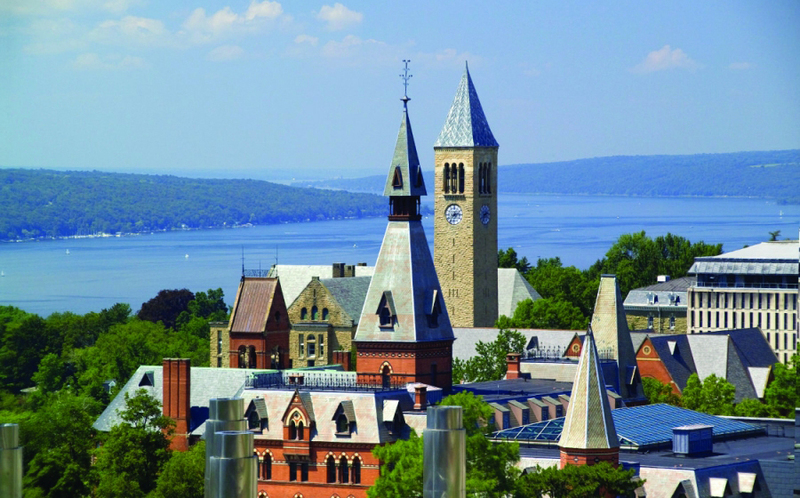 Cornell University isn't just a university to visit in the summer, but a university where you have the opportunity to take college courses and get ahead of other high school students. My experience at Cornell University's Summer College program was amazing and unforgettable! I know that everyone that gets the opportunity to attend Summer College has the same opinion, but I am truly grateful for the opportunity to have experienced this. While at Cornell, I fell in love with the campus, the professors, students, and college life. I enjoyed the environment at Cornell the most because it was laid-back, care-free, and welcoming. Also, there were so many different people from around the country and the world that I made a lot of friends that I still talk to now! Before arriving at Summer College, I was still frightened by the work course of an Ivy League Institute, but my professor, Dr. Radcliffe, and his two TA's, Molly and Scarlett, assisted me with any problems or questions I had. Having a goal when going to Summer College is something I recommend to prospective applicants because it keeps you focused once you attend classes. My goal was to graduate from my program, Conservation Medicine, with an A, and I was so excited when I accomplished my goal. I also received an award for "Best Debater". Summer College is an amazing experience that everyone should consider doing, but it isn't easy. While you have the freedom to participate in many activities outside of the classroom, be mindful that you are creating a college transcript. Anyone that attends this program will be amazed and eager to go back. So consider Summer College to get a start on your future! I attended Cornell University Summer College this past summer and I must say it was one of the greatest experiences I have ever had. I was in the Introduction to Hospitality Management and Operations course with about 80 other students from across the globe. The program gave me an opportunity to study at my dream university with Professors Mark and Reneta. The program was hard work but there was still plenty of time to explore the campus with friends and unwind in nature. I highly recommend to any prospective student. You will not regret it! Stateler is Hogwarts for me! I took the summer college course in the Hotel school the past summer and it became one of my most unbelievable experience so far! Those three weeks made me get to know so many friends from different corners of the world and also made me early apply to Cornell in the fall of my senior year. Cornell became the one that I am 100% sure wanting to go now and I hope that I could take classes in that Statler building again in the future! Reviewed on 10/23/2016 by Anna K.
I decided to attend Cornell University Summer College primarily based on the fact that I thought the experience would help me determine whether or not I wanted to apply Early Decision to the institution. It did just that and I fell in love. I decided on taking the course "Genius and Madness in Literature" directed by Professor Anette Schwarz and learned an immense amount in the short span of three weeks. Her direction was masterful and I also learned priceless writing skills from our teaching assistants Bret Leraul and Mateus Muller. All of the hard work I put into the class so that I would be able to contribute in a philosophical manner was well worth it. I learned to write sophisticated college papers and conversed with professors from various other departments that were guest speakers in our class. I met students from all around the world that became lifelong friends, was able to have wonderful conversations with full-time Cornellians, and had wonderful experiences in and around Ithaca. It was an experience that I hold very close to my heart and I would do it again in a heartbeat. I came to Summer College not knowing what to expect, or whether I would like it at all. What I found there was a remarkably profound experience filled with fun, friendship, and fierce competition. The campus itself is beautiful, and I never got tired of seeing the sites looking out over Libe Slope at sunset. The class I took -- Debate and Rhetoric -- was challenging, engaging, and most importantly, fun. I learned so much through Professor Nelson and his two TAs. I met so many new friends at Summer College, the vast majority of whom I still talk to almost daily. Any prospective student will not regret going. It is an experience I will never forget. Cornell had been one of my top choices for college, but I was still unsure if it was the best fit for me. I decided to enroll in "The Business World" class at Cornell Summer College to get a feel of student life at the school and really determine if I liked the school. Summer college was exactly what I was looking for. Not only was I able to receive college credit in a class that I will inevitably be taking, but I also got to experience firsthand what life is like at Cornell (and I loved it). Both the professors and the TAs were great; they kept the students engaged and encouraged participation. I also really enjoyed the large amount of free time available. One of the main reasons I enrolled in Summer College was to get a feel for the campus, and the ample free time allowed me to explore all ends of it. I made some great friends, had a lot of fun exploring college town and Ithaca, and learned a lot in a college-level course. I highly recommend Cornell Summer College if you are interested in a college course or just want to see if Cornell is the place for you! I attended the Summer College at Cornell, 2016. I received seven credits taking classes in International Relations and Engineering. The professors were engaging, and the classwork challenging. I got my first real taste of what it is like to live on my own. I met amazing people from all over the world, and have made life-long friends. The dorms were comfortable and the staff was supportive. In the midst of my classwork, I was able to participate in many fun activities including a student talent show where I performed guitar. My friends and I had fun exploring Ithaca and College Town on the weekends. The cafeteria food was delicious, some of my favorites were the sushi and ice cream! If your thinking of taking college classes, I highly recommend this program. Cornell University Summer College was a Great Experience! Totally worth the cost! Learned a lot from my course in Freedom and Justice in the Western Tradition and had loads of fun throughout the course. In three weeks, I was able to experience much of what Cornell offered. Whether it be falling asleep in the RPCC, relaxing in the Cornell Plantations, eating lunch with my professor, playing frisbee on North Campus, or even just strolling in Collegetown with friends. The possibilities were endless! If you can, I would highly recommend that you attend this summer program before it is too late! My summer at Cornell has been my best summer. I enrolled in engineering and also took a college level course. The program allowed me to see if engineering was right for me. I was also able to take a college level course alongside Cornell students. Besides the academics, this was my favorite summer because of the amazing people I met. It sounds corny but I made lifelong friends from the summer. I have from friends from Brazil, Turkey, China, and around the world. I stayed for six weeks but I wish I could have stayed longer. The experience is one not to miss. 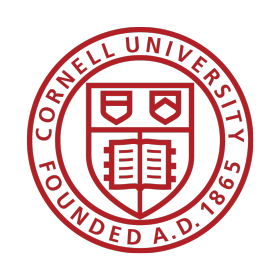 The Cornell Summer Program for high school students is really a wonderful opportunity to experience life at an Ivy League university and get a head start on college credit! Every summer, I spend some time away from home to develop myself as an individual, learn, and explore the world. My experience at Cornell satisfied every criteria in that last statement. I took the Business World course at Cornell. Besides having a passion for mathematics and a father who is a businessman, I really did not have much exposure to business and economics. I wanted to learn about this field and determine if it is a possible choice of major for me. So, I went on a journey this summer to explore business! This course is great for anyone in my shoes or anyone who is absolutely in love with business. I learned a handful simply by applying the concepts to the real-world economics and companies. We analyzed profitable and unsuccessful marketing techniques from NIKE. The course also covered lessons on basic accounting, stock picks, and marketing techniques. This course was fast-paced, but the professor and TA are dedicated to helping and teaching students. (If you don't believe this, I took both my professor and TA to lunch because class time was just not enough!) The faculty members at Cornell are genuine and committed to higher learning. I never felt limited or had questions unanswered because class time was not enough or my TA was busy. I was able to get the most out of my academics at Cornell. Besides this, Cornell provided great pointers for students in the college application process. There was a memorable college meeting that reviewed high-profile Cornell applications from this year. After this presentation, I understood to present my aplication in the best light possible. In addition, there are a writing center and many renowned faculty members to help revise and guide students through the personal statement process. The academics at Cornell is excellent and so is student life. Students can pursue whatever interests they have on campus. I participated in the Talent Show with my friend because we both loved music! Everyday, there is leisure for students to study and bond with friends over a hobby. My favorite moment at Cornell was swimming under the gorge-ous Treman falls with my friends. Making friends was also a huge bonus from this program. I met people from all over the world - Dubai, Brazil, Hong Kong, mainland China, and Zimbabwe. This world-class campus is filled with people from various nations. Just this aspect of the program was rewarding because I made friends and meaningful connections that would not have been available to me at my public high school. I definitely recommend this program for any student because it is a place for learning and making friends. Don't be afraid of a challenge because students at Cornell will and can face it together! Days after being deferred, I was accepted to CUSC. It was an amazing experience to go and get a feel for Cornell. I loved every moment of it. The kids were amazing and the professors were brilliant. I attended CUSC for both the summers of 2015 and 2016, and I loved both experiences. It helped to keep my brain sharp during the summer, but it was a great experience for me in more than academics. I befriended and met people that I would have never otherwise interacted with; this ranged from people living the next state over to people all the way across the world. Academically, however, this was a great experience, as it allowed for me to experience real college courses on a real college campus. 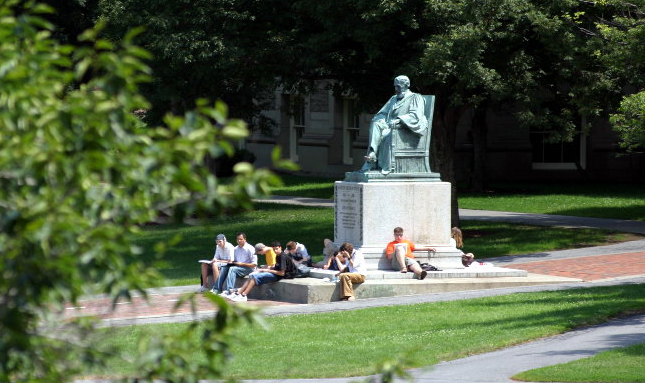 Want More Information about Cornell University Summer College Programs for High School Students? Your request will be sent directly to Cornell University Summer College Programs for High School Students. By submitting this form I confirm that I am at least 13 years of age and give my consent to be contacted by Cornell University Summer College Programs for High School Students by email as well as by phone and/or mail (if provided).